Two swiss scientists, whose works are nowadays fallen into oblivion, have obtained remarkable research results wich are, apart from their revolutionary character, most interesting in relation to our topic. The article shows us the interesting process of the dissolution of quartz by fungi and the formation of iron cristals (goethite) which give the quartz the special yellow color. As explanation for this phenomenon the authors suggest that the fungi bore tiny tunnels in the quartz by secreting oxalic acid, thereby precipitating iron cristallite formations. 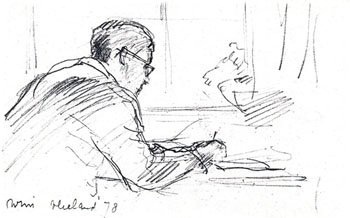 Under the auspices of Amé Pictet and in collaboration with Louis Helfer, Werner Scherrer published in 1925 his dissertation: "La présence de l'argon dans les cellules vivantes" (Helv. Chim. Acta 8, 537-545). 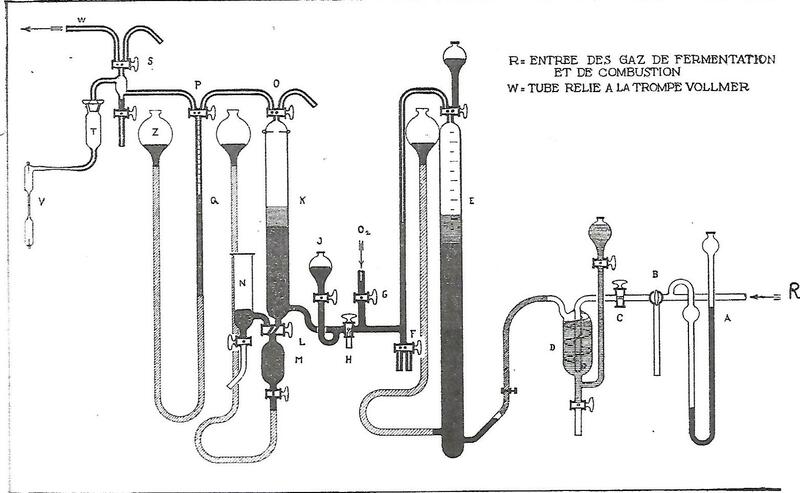 Scherrer constructed an instrument which enabled him to confirm Pasteur's observation*, that in the process of fermentation of sugar under influence of yeast, a small amount of an unknown gas is produced; Scherrer could prove that this was argon. *Pictet writes in the Comptes Rendus de l'Académie des Sciences 1925, p. 1629: "Pasteur a montré en 1860, v. Annales de la Chémie et de la Physique (3) 58, 323, que la fermentation du sucre, sous l'infuence de la levure de bière, ne s'accomplit pas intégralement selon l'equation de Gay-Lussac. Il observa que les produits gazeux ne sont pas entièrement absorbés par la potasse; l'anhydride carbonique contient donc un peu de gaz étranger. Pasteur semble admettre que ce gaz est de l'azote, mais il s'en donne pas la preuve et il ajoute: ces expériences mériteraient d'être reprises....."